Your family is busy. When you consider all of the items on your family’s agenda, do you really have time for different family members to see different dentists? Fortunately, this is not something you should worry about—Dentistry on Vine provides leading dental care for each member of your family. No matter how young (or old) you or your children are, Dentistry on Vine has your dental needs covered. Dr. John Kit and the other members of our experienced staff strive to provide preventative dental care that lasts a lifetime. Our hygiene programs and treatment methods increase the likelihood that your and your children’s oral health will be sound for years to come, no matter your age. If you need general and family dental care in St. Catharines or anywhere else in Ontario, stop by Dentistry on Vine. From routine cleanings to preventative care to emergency dental care, we offer the dental services your family needs. By treating every member of your family and offering a complete scope of dental services, Dentistry on Vine makes dental visits easy. We also make a concerted effort to educate all of our patients on proper dental care. This benefits patients of all ages, but is especially beneficial for our younger patients who are still learning. 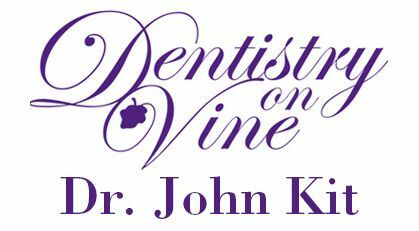 Dentistry on Vine is ready to improve your family’s smiles and oral health. Have questions or want to schedule an appointment? Call us today at 905-935-4603. We look forward to meeting your family soon!